A salty breeze ripples across emerald green waves. Colorful seashells appear while casually strolling along the sugary white beach. Are you dreaming of houses for sale in the picture perfect Florida panhandle? No need to wait! The luxury of living in tropical paradise is possible now! Follow along as we discover three pleasing properties listed on MilitaryByOwner that might just fit your budget. Way more trendy than those “tiny house” styles you may have seen on TV, this charming two-bed, one-bath home near Panama City, Florida is a perfect fit. Nestled near the East Bay of St. Andrews State Park and Aquatic Reserve, this waterview abode evokes a laid-back, beachy vibe. With 864 square feet to play with, let the sea be your muse if decorating with a beach cottage feel. 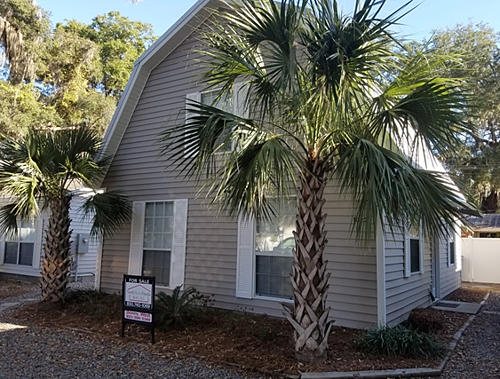 Located about five miles from Tyndall Air Force Base and about 12 miles from Naval Support Activity Panama City, you can truly have “no worries” with the ease of your daily commute. Shake the sand from your bare feet and linger on the hardwood floors and Italianesque tile throughout. 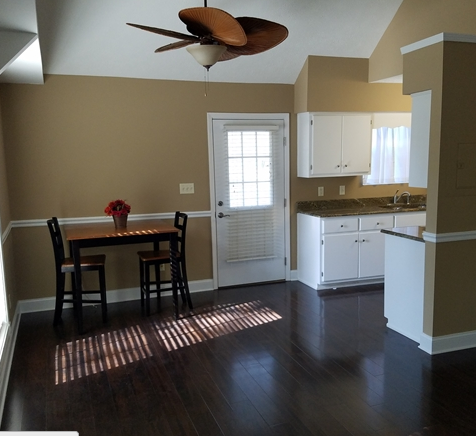 Upgrades to the “Joanna approved” white kitchen and bath include granite countertops that shimmer under the Florida-style lighted fans. With this Panama City home, you may soon decide “life is better by the beach”! There’s truth behind the name, “Niceville.” This bayside community is just plain nice! 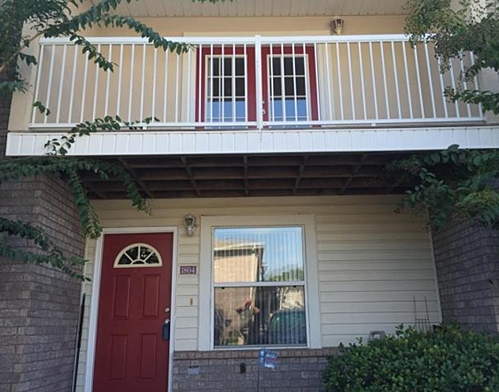 With two bedrooms and two bathrooms, this Shay-Lin townhome is about 11 miles east of Eglin Air Force Base. Tucked near Rocky Bayou State Park and Aquatic Preserve, this Niceville, Florida home is near the hub of amenities available in the Bluewater Bay area. Love to entertain? Host a get-together at the clubhouse with adjoining resort-style pool. When inviting more close-knit friends over, gather on your private back patio. This 993-square-foot condominium features an open-concept kitchen with generous eat-in dining space and the convenience of in-unit laundry. Unwind after a long day on the delightful balcony off the master bedroom suite. With this fine Florida property you may find out for yourself just how “nice” living in “Niceville” may be! **Note: this home is no longer listed. See current MilitaryByOwner listings near Tyndall AFB. Following Route 98 past Gulf Islands National Seashore, we land in the Old Hickory neighborhood of Pensacola, Florida. 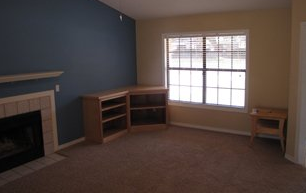 This three-bedroom, two-bathroom home is minutes from Naval Hospital Pensacola and the Corry Station installation. A short route across the Bayou Grande is Naval Air Station Pensacola. From this centrally located home, you may be able to watch practice runs of the Navy’s Blue Angels aerobatic flight team! 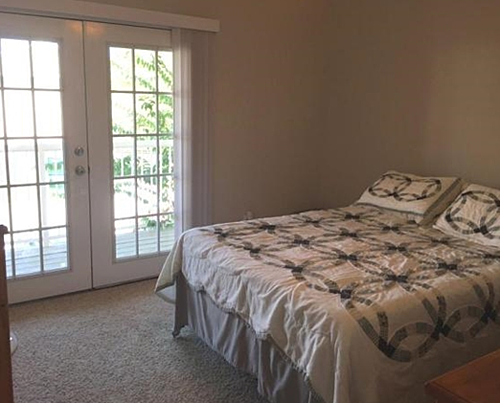 At over 1300 square feet, this Florida home has plenty of potential with sun-filled windows, easy care blinds and neutral tile and carpet throughout. A pleasing Wedgewood blue wall creates a focal point to highlight the cathedral ceilings and cozy fireplace. The bay window feel of the dining room leads to a galley-style kitchen featuring stainless appliances. 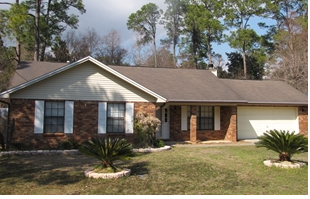 Enjoy the luxury of a short commute with the premium location of this affordable Pensacola property. With no state income tax, miles of pristine clean beaches, stunning Gulf water and military-friendly neighborhoods, it may be easy to picture yourself in the Florida panhandle. While some of these homes are no longer listed for sale, it's easy to search for similiar homes in the Pensacola area on MilitaryByOwner!